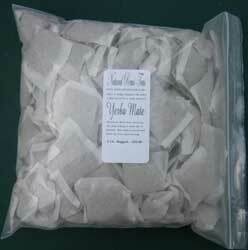 Yerba Mate helps metabolize fat for weight loss and has an ingredient Theobromine. Theobromine is much like caffeine, though it is a stronger relaxant for smooth muscles. a stronger diuretic, and weaker nerve stimulant than caffeine. Theobromine thus allows for the body to shed more water while boosting metabolism and suppressing hunger, all of which combine to aid in successful aid in successful diets.